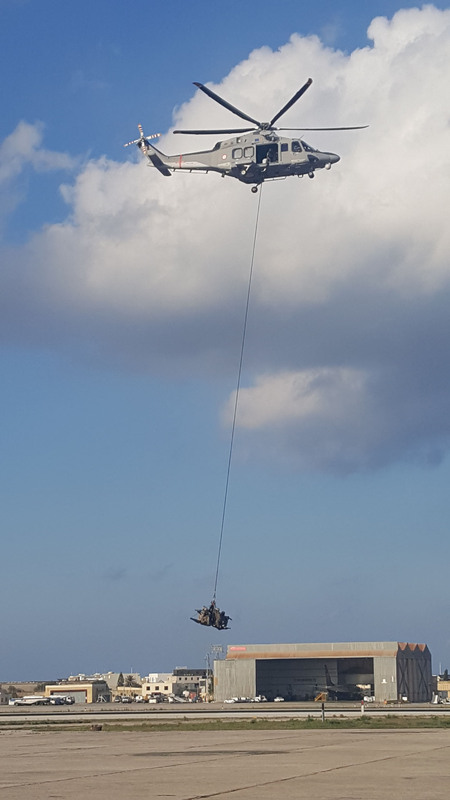 The Armed Forces of Malta’s Special Operations Unit (SOU) has a acquired the AirTEP (Airborne Tactical Extraction Platform) system. 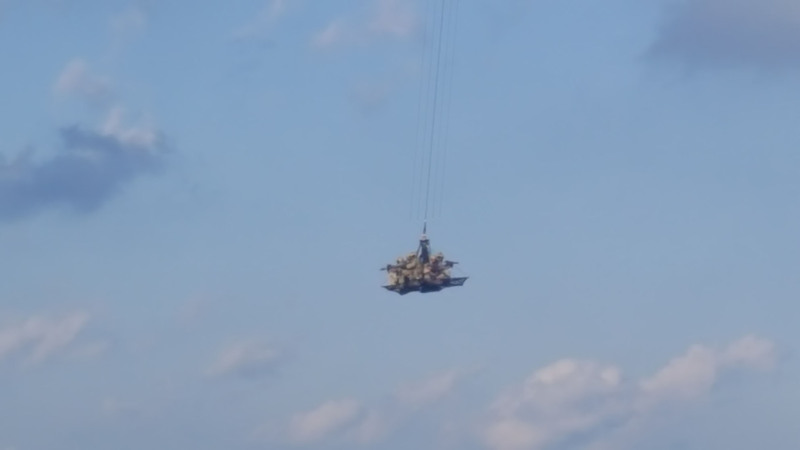 Designed by French company Escape International, the system allows for the rapid extraction of up to ten operators at once in less than five minutes. 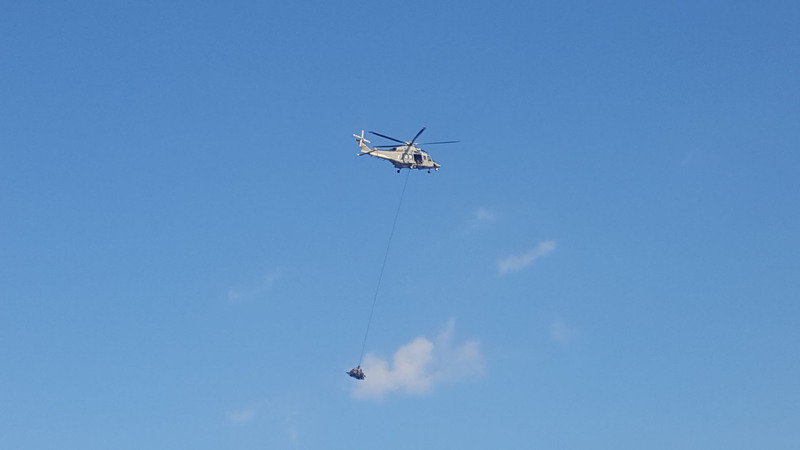 The AirTEP has been showcased to the public during the Armed Forces of Malta Open Day 2017. 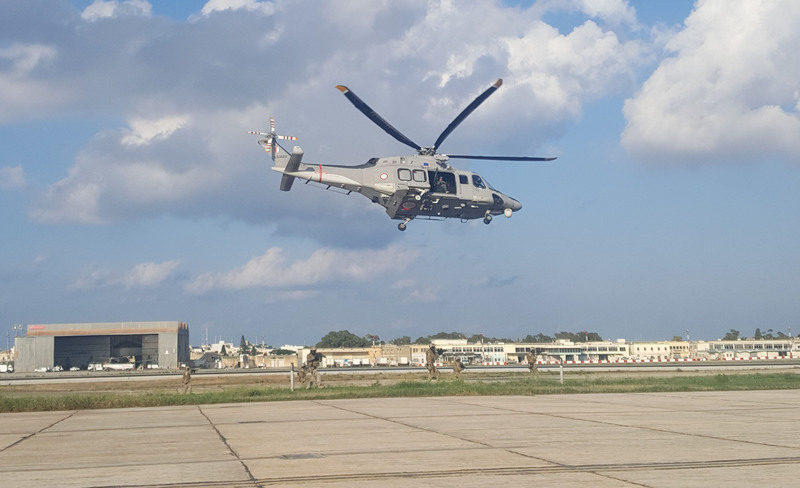 During the demonstration, an AW139 of the Air Wing has used the AirTEP to extract a group of six SOU soldiers in full combat gear. One of the advantages of the system is that soldiers are hand free and have a 360° vision, thus allowing them to return fire in case of necessity. The SOU may use the AirTEP in order to extract at the end of a vessel boarding operation.